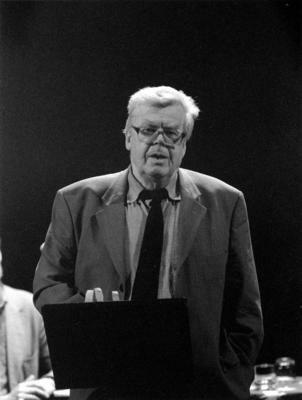 Derick Thomson (Ruaraidh MacThòmais), has had a distinguished career both as a leading Gaelic poet, and as an academic critic, lexicographer and publisher. "His poetry is marked by great technical skill and versatility, understated irony (with occasional flashes of anger) and an astonishing ability to recapture sensuous triggers of memory." 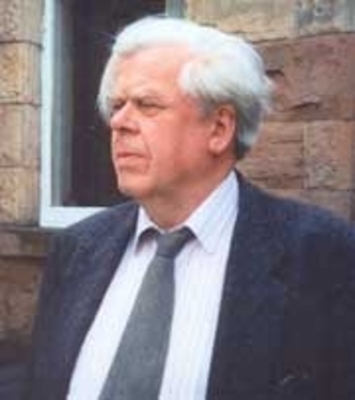 His extensive list of publications includes seven collections of his own Gaelic verse, frequently accompanied by English translations, as well as a number of seminal works, A New English��"Gaelic Dictionary (1981), The Companion to Gaelic Scotland (1987) and An Introduction to Gaelic Poetry (1990). He founded the publishing house, Gairm, in 1953, and the literary magazine of the same name, which ran for fifty years under his editorship. He was part of the twentieth century Scottish Renaissance. MacThomais, Ruaraidh, Byrne, Michel. Celtic culture: a historical encyclopedia. 1230. World Changing Project, "Gaelic poet and critic," in University of Glasgow World Changing (University of Glasgow, 2010); http://www.worldchanging.glasgow.ac.uk/article/?id=101 (accessed April 26, 2019). World Changing Project. "Gaelic poet and critic." In University of Glasgow World Changing. University of Glasgow, 2010. http://www.worldchanging.glasgow.ac.uk/article/?id=101 (accessed April 26, 2019). World Changing Project. "Gaelic poet and critic." University of Glasgow World Changing. University of Glasgow, 2010. 26 April 2019 <http://www.worldchanging.glasgow.ac.uk/article/?id=101>.